Consul Gonaranao Musor, Head of the Embassy’s Cultural Section, delivers a lecture on Filipino culture at the Chongfu Primary School, 26 March 2019. 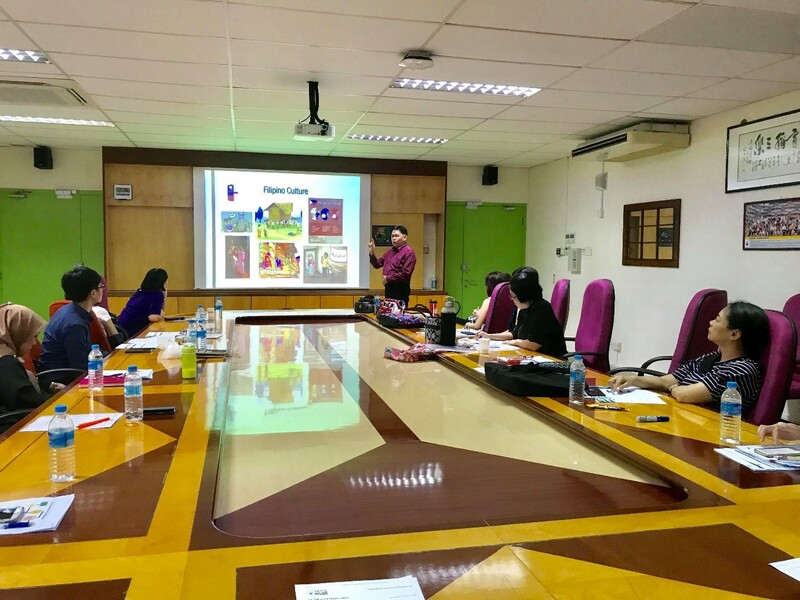 Consul Gonaranao Musor with the thirteen primary school counsellors during the briefing at the Chongfu Primary School in Yishun. The Philippine Embassy in Singapore represented by Consul Gonaranao B. Musor and Cultural Officer Sheila B. Bengtlars met with thirteen primary school counselors of North Cluster 2 for a briefing on Filipino culture on 26 March 2019 at the Chongfu Primary School. 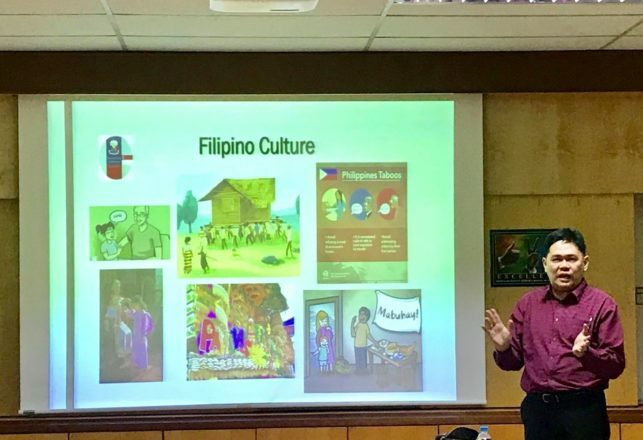 Consul Musor discussed various aspects of Filipino culture including social norms, taboos, customs, parents’ expectations on their children and education. The Singaporean school counselors requested this briefing to enable them to be more sensitive to the culture of their Filipino students in their respective schools. The counselors noted the similarities between Filipino culture and Singapore’s as well as their traditional and modern beliefs. Consul Musor added that the archipelagic nature of the Philippines, which is surrounded by the Pacific Ocean in the east and the South China Sea in the west, led to the diversity within Philippine culture. In addition to the briefing, the Embassy officials conveyed to the Singapore school authorities the Philippine’s continued interest to pursue more collaboration between the Philippine and Singapore schools especially as the two countries celebrate the 50th anniversary of bilateral relations this year.